Phoenix Fashion Week Designer of the Year and couture brand ACONAV was invited to create a one-of-a-kind, timeless piece to be a part of a new exhibition at the Epcot World Showcase in Orlando, Florida by Walt Disney World. 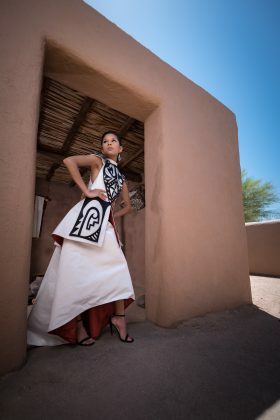 Renowned Acoma Pueblo fashion designer Loren Aragon once applied to be an Imagineer with Walt Disney World, and now they’re after his fashion designs. 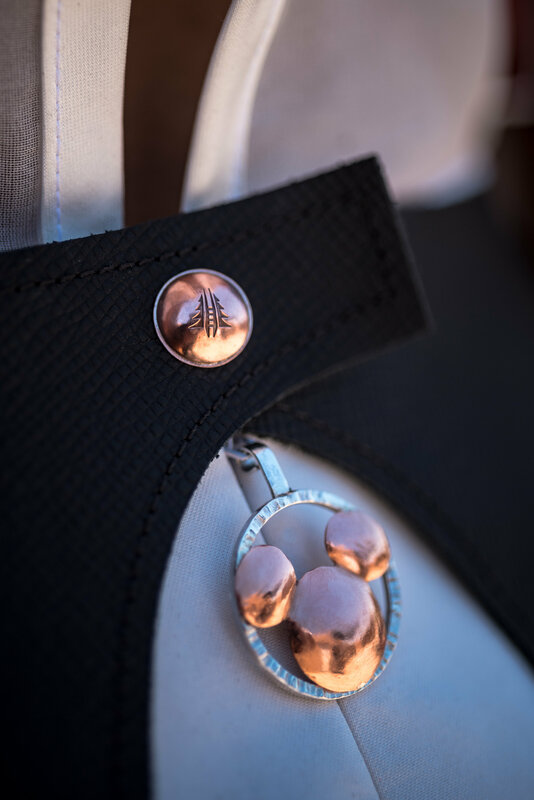 Inspired by the culture of the Acoma Pueblo people, ACONAV continues to lead the way in the innovative indigenous fashion realm. After winning the title of 2018 Couture Designer of the Year at Phoenix Fashion Week, the Imagineers from Walt Disney World sought out Aragon with the task of contributing a true one-of-a-kind design to be a part of a new exhibition at the Epcot World Showcase. Loren’s design will be on display this summer at the American Heritage Gallery at The American Adventure is a brand-new exhibit called “Creating Tradition: Innovation and Change in American Indian Art”. This exhibit is made possible with the collaboration between Disney, the Museum of Indian Arts and Culture (MIAC) in Santa Fe, NM, and the Smithsonian’s National Museum of the American Indian (NMAI) in Washington, DC. Aragon’s career started off as a Mechanical Engineer and in just the past 2 years has excelled in the conversion to a full-time fashion designer & artist. ACONAV fashions have walked the stages of Phoenix Fashion Week, Native Fashion in the City of Denver, CO, and Plitz’s NYC Fashion Week. ACONAV has also been adorned by Indigenous actresses Tinsel Korey and Grace Dove at red carpet events. Now comes the opportunity to showcase the recognizable talents of Aragon to an even greater audience who will see a couture design on display for the duration of the exhibit of 3-5 years. In previous months Aragon made a selection from the MIAC pottery collection as the basis for a one of a kind couture gown. The display at the exhibition will feature the ACONAV creation alongside the selected pot beside other artists selected for the exhibition. The showcase will also include interactive elements that will share the creative process and story behind the artists. “This is another great step to the overall goal of properly and respectfully representing a part of the indigenous culture with the world, I am truly thankful to all the parties involved,” says Aragon. Native fashion continues to make its mark in the greater fashion world. ACONAV continues to turn heads as a positive influence for future generations of artists and designers alike. For more information about the upcoming exhibition, visit disneyparks.disney.go.com/blog/ for updates.